Every year Surprised by Hope gives 100 dollies to children in East Africa for Christmas. In the process of that giving, we share the story of Jesus’s birth with 100 children closely gathered around. The gift of these dollies to the children is very much like the gift Jesus is to all of us, and the children learn to love and thank God for that gift. The first dolly maker—my beautiful mother—never knew her first four dollies would turn into 100 dollies every year. Engaging the help of Bible study friends, she sewed her fingers to the bone. And then another lovely woman stepped in to help, and wow are those dollies gorgeous. 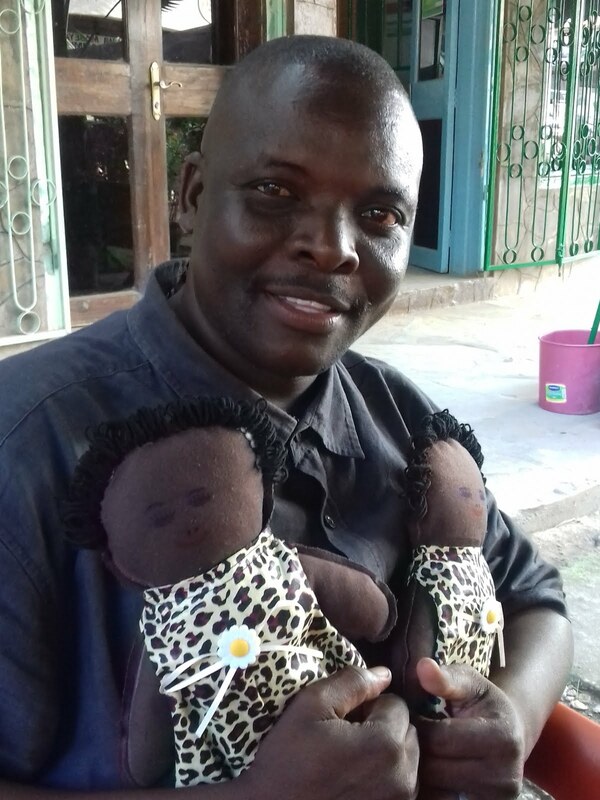 2015 was the first year about half of the dollies were made by a woman in Uganda who had become a dear friend. Soon after she became a widow, I happened upon her in the market ready to make me a new dress. She was the first woman in East Africa to make such pretty dollies. 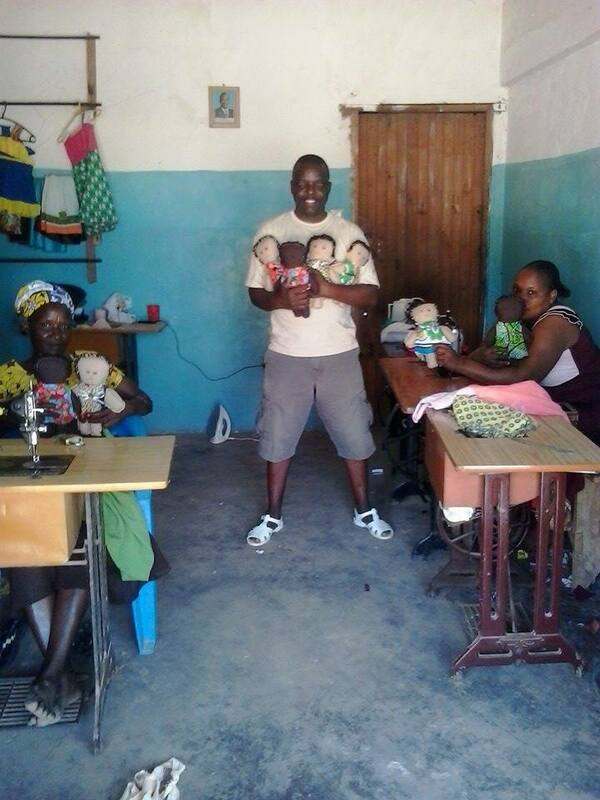 While Shakira is a great dolly provider for the 100 Christmas Dollies 2015 gift which was given in Uganda, our 100 Christmas Dolly recipient this year is on coastal Kenya and so we set out to find another local dolly maker. I met Pastor Nathaniel in Nairobi and learned he was a tailor and a teacher of tailoring. Once we reconnected on the coast, he began making these beautiful dollies in preparation for 100 Christmas Dollies 2016. Not only did he make these dollies, but he taught two other ladies to make these dollies too. 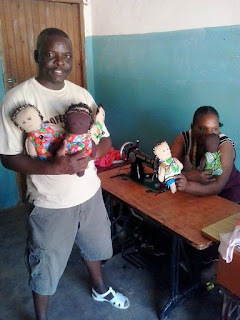 We are so excited to shift our dolly making to the local community, where it should be, and to have found a pastor-tailor who understands the importance of teaching others as well. Read the story about the beneficiary church—the church that will receive your dolly sponsorship money to help continue construction. Select the dolly you love—dollies made by Mom, Kathy, and Pr Nathaniel and his two trainees. Sponsor your dollies for $25 each through PayPal or by writing a check to Surprised by Hope—don’t forget to tell us which dollies you chose. Watch the Christmas celebration at Pr James’s PEMA Church in Mjanaheri, usually posted Christmas evening. Expect to receive a picture of the child who received your dolly, usually posted Christmas evening. 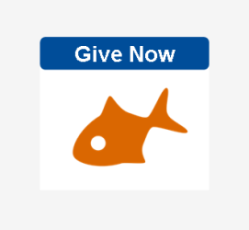 Watch PEMA Church build a new roof because of your gift, posted as progress is made.